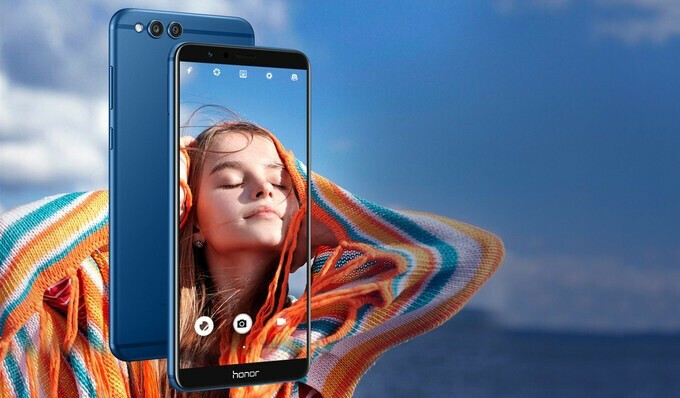 Honor 7X, one of the top value for money phones of early 2018, is now available for pre-order on Amazon. The super mid-ranger is classified as "#1 New Release" in Amazon's "unlocked cell phones" category, and the e-commerce site says that units will officially start shipping on January 25, 2018. The units sold by Amazon are unlocked and compatible with GSM carriers. You won't have trouble using them on AT&T and T-Mobile, but LTE won't be available if you're on Sprint or Verizon. They are covered by the standard 1-year limited warranty. By the way, the 7X will also get Face Unlock in the next few months. However, there are a few things missing from this smartphone that are worth pointing out. The 7X uses a micro USB port for charging (not the reversible USB-C), and there's no NFC on board. Thus, if you're using Android Pay a lot, it might not be a good fit for you. If you'd like to get the full scoop on the Honor 7X, feel free to check out our written review for the phone. If you'd like to pre-order, make sure to follow the above link to Amazon. Best budget/mid range smartphone available as of now! Why won't anyone other than Motorolla make a Verizon compatible mid range phone? Same here. I sent mine back. It lagged so bad and the camera lag is just absolutely unbearable. I also had those purple and red blotches on taken photos here and there. First time in my life to see that happening, lol. Phone seems nice but meh. Kinda sad to let it go cuz I love the front look and the both cameras' photo quality. I don't know man, I've been using mine for a couple of weeks and it's working just fine. I actually love it. I'm a guy who's coming from a dead Nexus 5X.